I’ve been wanting to go to INK for a long long time but have not managed to get a reservation at a reasonable time and finally I got the opportunity to dine there this weekend thanks to a friend who read my mind and booked something there and got a reservation at a normal time. Needless to say, I was beyond excited to try the place having looked over the menu many many times in the past. Upon arriving, I was pleasantly surprised to see the Chef there himself at the front door. He even opened the door for me and some other guests. I was one happy camper already at this point other than the extreme regret I immediately felt realizing I didn’t bring a good camera or charge my phone before dinner. My phone battery died and I didn’t know I had INK reservations until the day of and thus was not prepared to bring my nice camera. So please excuse the dark dark photos below. They don’t do the food any justice but at least it gives you an idea of how each dish looked and I can try my best to describe all of them. Everything is meant to be shared. 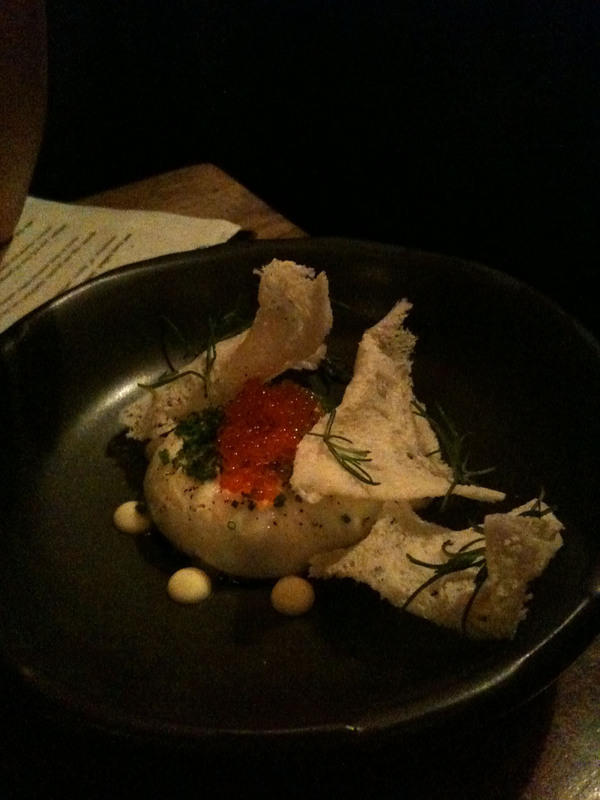 Second dish was burrata, egg yolk, roe. 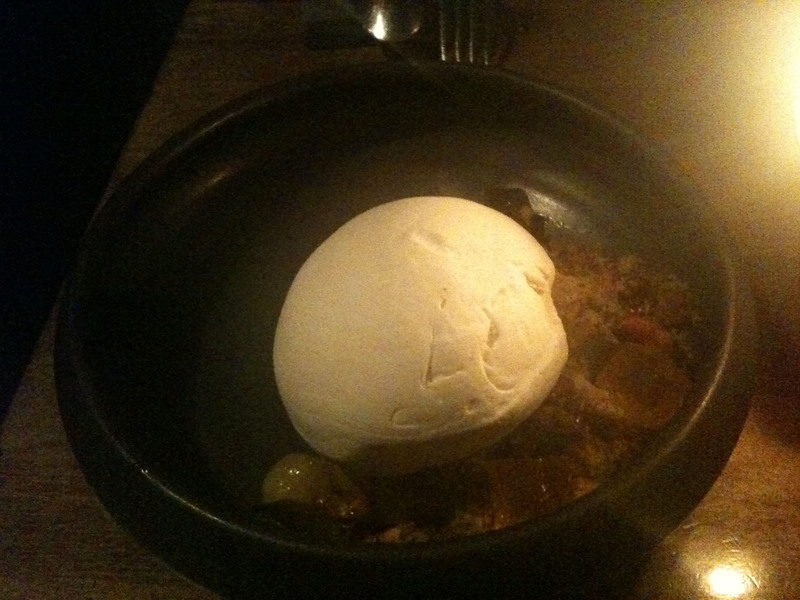 The burrata was extremely creamy and light. The egg yolk mixed with it and the roe made for a nice clean and light dish. Third dish was Poutine, Chickpea fries, yogurt curds,lamb neck gravy. All I can say is this dish is better than the normal poutine with regular fries. 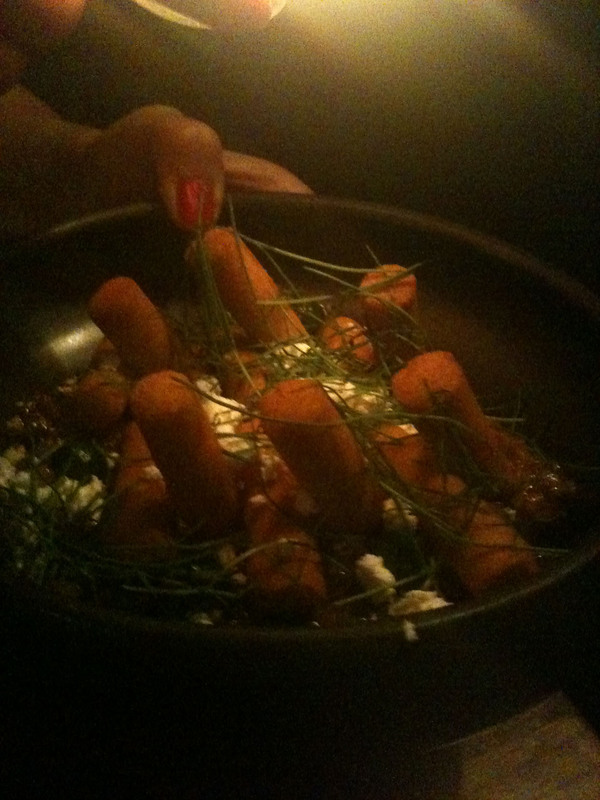 The chickpea fries were incredibly soft inside to the point of being so creamy it almost melted and the exterior was light and crisp. The combination of the light airy chickpea fries and the very flavorful lamb neck gravy made it a dish you can imagine yourself having anytime you needed something utterly satisfying. It was by far one of my favorite dishes. It’s simple comfort food that’s been elevated by the innovative twist of incorporating atypical ingredients. The fourth dish was Bay Scallops, Egg yolk gnocchi, Mushroom Hay. This dish was probably my least favorite of the bunch. The bay scallops were excellently cooked and the mushroom hay was fantastic but the egg yolk gnocchi was a bit too yolky for me. I love egg yolks but I felt it overpowered the dish and made me feel like the yolk was the main focus of the dish. I would have liked to see the yolk be more incorporated into the sauce or the other elements of the dish by possibly adding some contrasting flavor to cut the yolkiness down a bit. 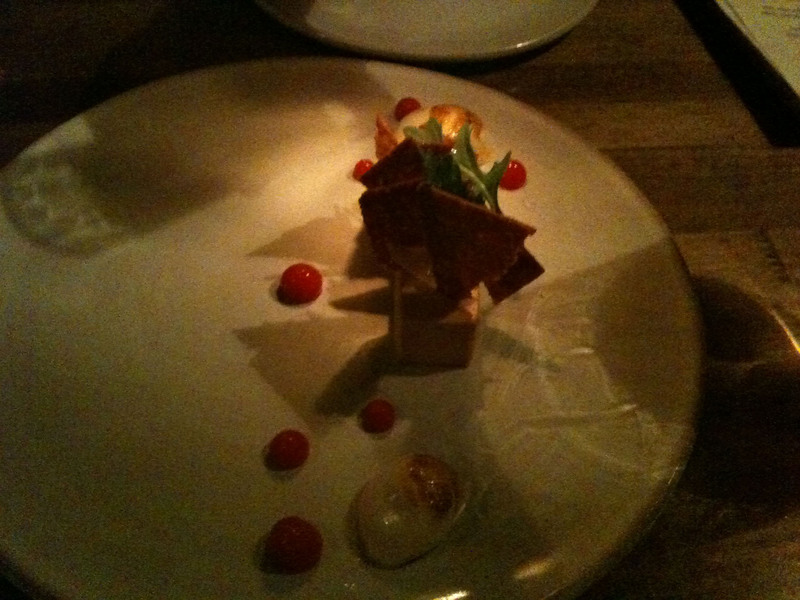 The last course was the Apple dessert with burnt wood ice cream, caramel, walnut cake, . The texture of the ice cream was fabulous. It was light, airy and creamy at the same time with the light hint of burnt wood. You can’t really go wrong with caramel, nuts, apple and ice cream. The meal was extremely special because I was able to not only try some of Michael Voltaggio’s dishes but also watch him work the line up front in the open kitchen. Seeing him work with his chefs and so involved makes the experience That much better. Not too many restaurants these days with famous chefs do you see them working the line the entire night. And of course final highlight of the evening was waiting by the entrance to finally meet him in person and speak with him. He came by to the front to say hi and have a picture taken with me. I was over the moon and a bit tongue tied as I was a bit star strucken. He was humble and appreciative of all of our praises. 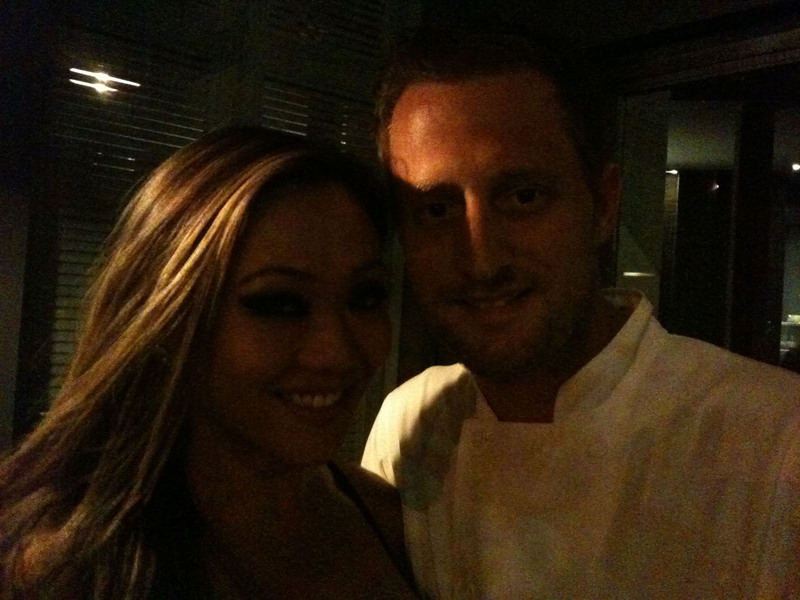 And did I mention that Michael Voltaggio is just as good looking in person as he is on TV. Ok good looking is an understatement. He was hot. Let’s just say I was quite SMITTEN. The experience and the food was incredible and I can’t wait to go back. Next time I will bring a legitimate camera and take better photos. 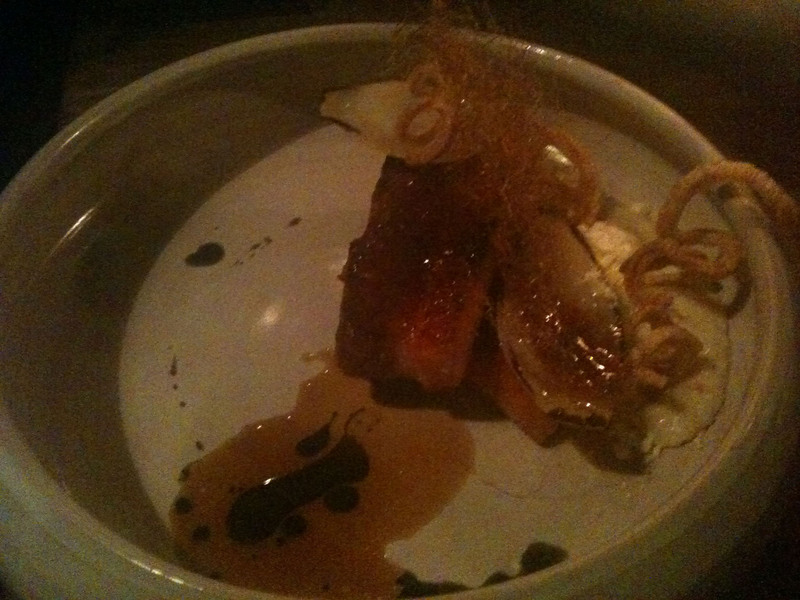 Restaurants like INK and Bazaar are the types of avant garde restaurants that we need more of. Creative food with an emphasis on Molecular Gastronomy has been always reserved for upscale restaurants with tasting menus that run up to 12 courses and over $200/person. It’s something you can’t have all the time and it’s oftentimes unapproachable for the masses. What Bazaar and INK and a few others have done is essentially take these high end dining concepts and placed it into a cool and hip environment. It’s casual and not stuffy. People can come for any type of occasion be it, just a dinner on a weekday or a birthday on the weekend. The portions have been made a bit larger so we can actually share it which as made the dining experience more fun and interactive. 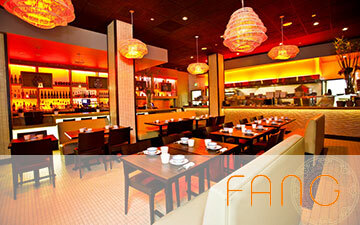 Innovative cuisine made approachable and hip for the new younger generation is the way to go. Can’t wait to come back.